June 4, 2014 February 10, 2016 ~ Sara W.
Don’t you love those times in life when you somehow feel more upbeat or at peace no matter what life is throwing at you? I’m in one of those happy places right now and I’m trying to analyze every little aspect of my daily actions to see what is making the difference. I think I’ve deduced that there are three things contributing to my happier demeanor – focusing less on myself, tidying up, and the joy of sunshine! I tried to word that first one – focusing less on myself – carefully. At first I wanted to put down “doing service” or “thinking more of others.” But in reflecting back on my week, I don’t know that I’ve been doing any grand acts of service or even thinking of others more than usual. I think what it comes down to is that I’ve been trying to focus more on the good in life in general rather than constantly dwelling on my short-comings and undone tasks, which there are plenty of the latter these days. I think what it comes down to is that I’m trying to embrace Abraham Lincoln’s quote about how, “Folks are usually about as happy as they make their minds up to be.” I’ve struggled with this quote because there are plenty of times that I want to be happy and I think that I’m doing all I can do make it happen and it’s just not happening. But perhaps it’s not just about making my mind up to be happy, but rather making my mind up to not dwell on the unhappy, or rather, striving to focus less on myself. When I say focus less on myself, I’m not saying to ignore the personal nourishment that my body, soul, and mind needs. By focusing less on myself, I mean looking beyond myself and seeing the beauty around me and the opportunities that abound. It seems to me that focusing less on myself is the way my mind chooses happiness. This might not be the case for all. 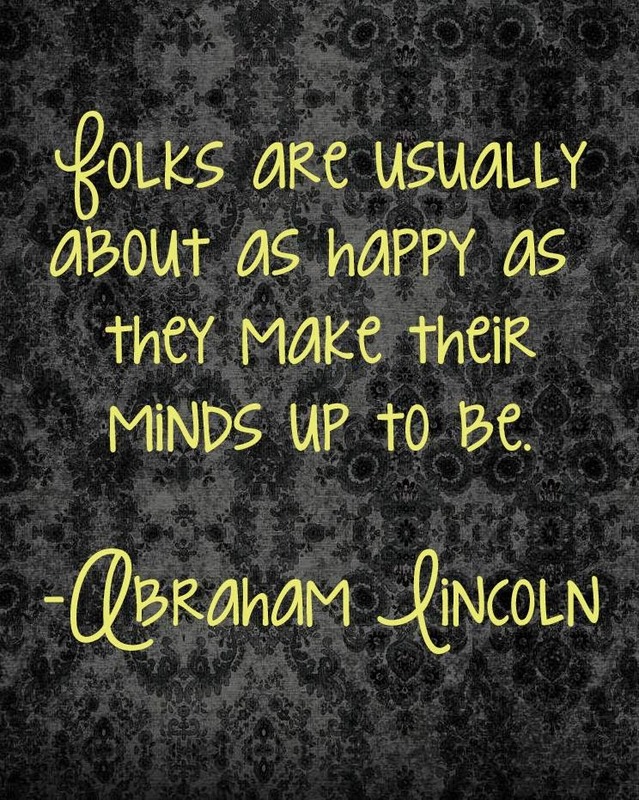 Perhaps it’s worth thinking about this quote and trying to understand what actions need to be taken for your mind to decide to be happy? The second thing that just made life a little brighter was tidying up some odds and ends around the house. I still have seven weeks to go in this pregnancy, but my husband is convinced the nesting period has begun. Last night, as I busily cleaned up clutter and messes that I had let fall by the wayside for too long, my husband was literally chirping and singing some made-up song about what types of twigs and such do I put in my nest. Just sharing that makes me giggle all over again, which makes me think that perhaps the goodness of my husband ought to be on this list of things that have been bringing sunshine in to my soul. I say it often, “I married up.” But, back to the topic at hand, a tidier home just makes for a happier home, does it not? I’m not saying perfectly tidy, because lets be honest, I am a mother of three. I have learned that each child produces more clutter and mess. I’d be lying if I said I wasn’t nervous about the added mess of yet another kiddo. 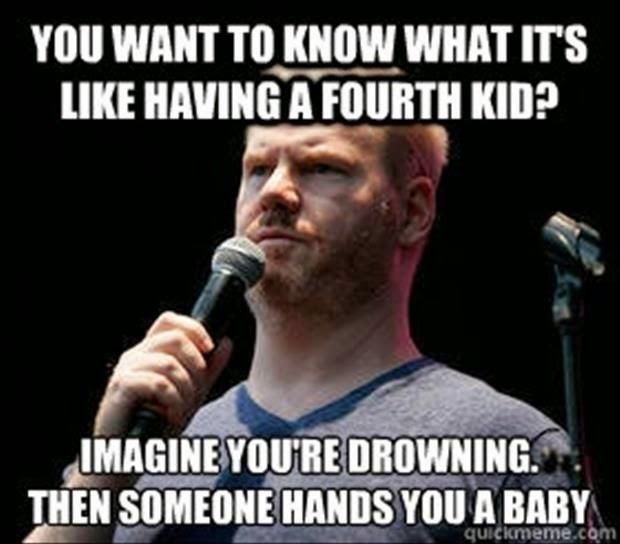 Comedian, Jim Gaffigan’s, line from his stand-up show Mr. Universe is in the forefront of my mind often these days, “You want to know what it’s like having a fourth kid? Imagine you’re drowning. Then someone hands you a baby.” He goes on to say how happy he actually is to have four (now five kids), but that doesn’t take away from the reality that more kids = more chaos. Perhaps that’s why my efforts to get our current level of chaos better under control helped calm my nerves a little bit. Lastly, I truly believe my soul just needed some literal sunshine. While I love the varying seasons here in Oregon, I can certainly tell how my mood responds to a few days of good ol’ sunshine. The best part is that it rarely gets too hot here. So the days filled with sunshine are days that seem almost too perfectly beautiful and comfortable to be real. Yesterday just happened to be one of those days. We headed down to the river as a family and met up with some friends. 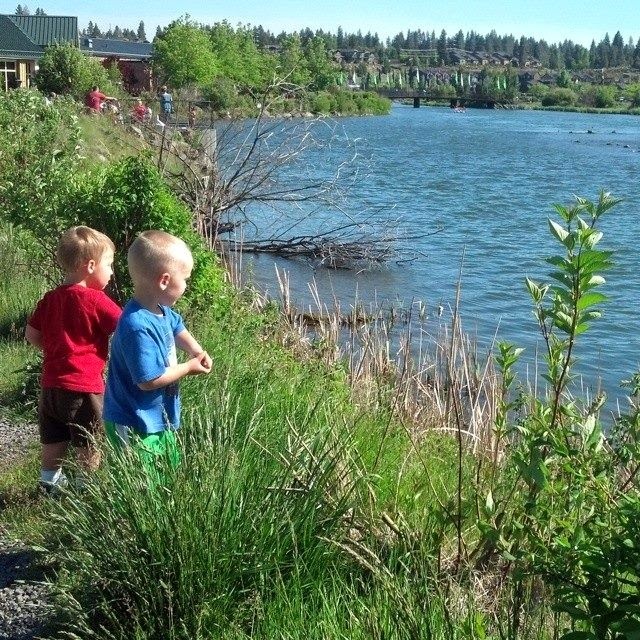 The kids rode their bikes all over the place and threw rocks in the river, while we visited and took in the beautiful sunshine and scenery. Taking time to enjoy the beauty of the world in which we live and spending time with loved ones just warms the soul. It’s truly that simple. So, if for whatever reason, you are having a difficult time feeling the sunshine in your soul, perhaps one of these three pieces of revelation will help brighten your spirit and your day! Glad you’ve had some sunshine in your soul, and energy to nest. I hope the next 7 weeks go easy on you.